While one would assume that profits from Weekend At Bernie’s are at this point a dead issue, the creative duo behind it have refused to allow it to rest, propping the argument up, putting sunglasses on it, and carrying it into court as though it were still alive, vital, and ready to party. Producer and screenwriter Robert Klane and director Ted Kotcheff have filed a lawsuit against MGM and Twentieth Century Fox some 25 years after their 1989 film first introduced the world to the classic comedy premise of using your boss’ corpse as a puppet, claiming they “have not been paid a cent” on their promised share of revenues. By the suit’s estimation, both have been denied “at least hundreds of millions of dollars” from the film whose box office gross was just over $30 million—a figure that seems inflated, until you allow that it probably also takes into account all sales of Weekend At Bernie’s home videos, posters, action figures, replica Hawaiian shirts, collectible Franklin Mint plates, pool floats, and the estimated value of Andrew McCarthy’s organs. 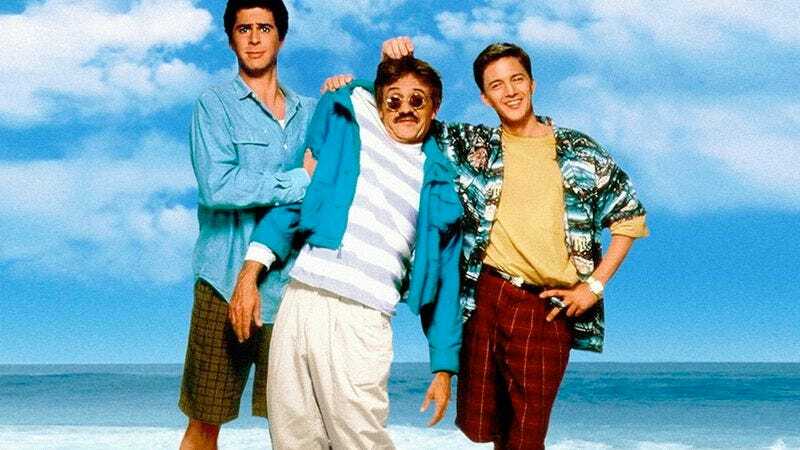 The suit also describes Weekend At Bernie’s as “one of the most hilarious and endearing goofball comedies of the '80s”—a statement that will hopefully be read, verbatim, in any judge’s official ruling. Anyway, nowhere does it indicate why Klane and Kotcheff waited this long to speak up about this terrible thing that happened, but presumably they were just trying to enjoy their 25-year vacation.